Chennai: Tambaram is set to look a lot cleaner as the Tambaram municipality entering into an agreement with Tamilnadu Cements Corporation Limited (Tancem) to send plastic waste and confiscated plastic as raw material to the cement factory in Ariyalur. 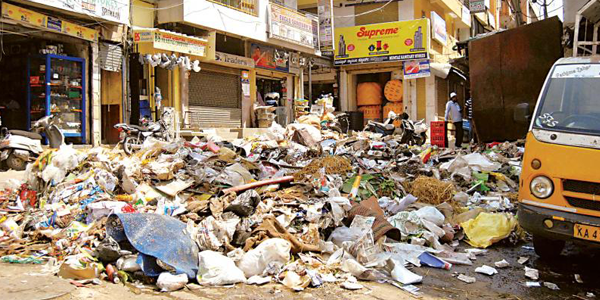 Tambaram municipality will collect the waste, segregate it and send the required plastics to Tancem, an official said. The waste in the area is collected via spot segregation, which means it is segregated at the source itself. The plastics were being sold to scrap dealers but now, it can be put to better use, an official said. The Tambaram municipality commissioner said that they had signed a pact with UltraTech cement, which’s factory is in Ariyalur to give away the plastics. “This makes everything convenient for us because earlier the workers were individually giving the plastics they collected to hawkers and making money from it. Now, it will be a more centralised process,” he said. The factory will use the plastics for heating and other such processes, he added. S. Selvaraj, sanitation officer of the Tambaram municipality, said, “The agreement has been signed for 10 years and all non-salable but recyclable plastics will be sent to the factory. In fact, we have already been sending it for some time. Now, the agreement is for a long duration,” he said. A total of 7-8 tonnes of plastic is being sent every week while steps to reduce plastic usage below 50 microns is also being encouraged. “We have been conducting raids and seizing plastic in the neighbourhood,” Selvaraj said.